May 15, 2015 was the last post to the confessions pages… a couple months shy of a full year and oh what a change. In that time, the two girls and I packed up the car and with my older sister and my father and drove east to visit my twin sister and her family in Newfoundland. I had one of the busiest summers I have ever had with my DJ’ing – 13 weddings. I wrapped up 3 different semesters at work and started another couple and we as a family had pool time, sun time and at times fun time with much needed relaxing, not to mention a family wedding, a few birthdays and of course Christmas time. This past almost year has had its share of incredible highs and a few defeating lows, but through it all, I terribly missed therapeutically sharing the comings and goings of my little family in the form of this blog. So, if you will humor me for a while, I will try to get back to it… and scribe my weekly thoughts, observations and I will do my best to recap what’s going on around the halls, in this little corner of the galaxy in the form of the confessions pages. Comments are always welcome! Happy reading! 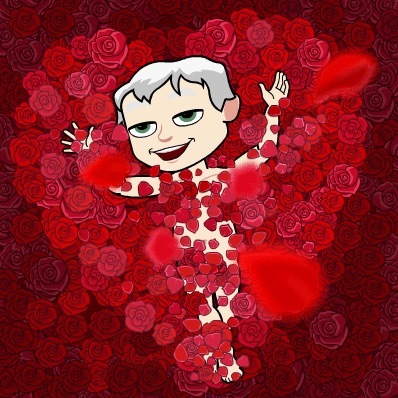 It is V-Day, as in the celebration of love and all things red. I love my wife every day of the year; so I don’t buy into the extra pressure to give in to societal and commercial expectations to profess, bla bla bla… OK, I do. We always try to do something nice for each other and mark the occasion. I was reminded of the day, this year by arriving at school the Friday morning to find three girls sitting at a table in the cafeteria. A fourth showed up, and presented the others with cute little red hearts, wrapped in crunchy cellophane with pretty bows, and the 3 girls went nuts. “I’m insta-gramming that!” one said, while they all started taking selfie’s with their gifts. That is when I said, that no matter what. No matter the deal we make this year, “We’re not getting anything for each other, right?” and no matter the pressure or the expectations of society or your circle of friends, why wouldn’t you want to make someone happy, if even only for a minute, with a small, insta-graming worthy gesture like that? I have talked lots over the years about the important role friend’s play in our lives. Family is one thing… they serve a role of course, but I think there is a built in tension that comes with blood. Your family has history. They know often where the skeletons are buried. But friend’s, that’s different. What I haven’t talked about is the key role of the so-called friend. Just for the record NONE of these friends know about or would read my blog, so if you are reading this, it is NOT about you. Months ago, it occurred to me, after some tension with old friends that there are different kinds of friendships. So you have those you don’t see in years, but dropped back into a social setting, would likely act as though no time had passed. Those are classic friends. Then there are the all in friends that have a level of connection that seems difficult to understand. A, “my car is broken down at the side of the road” will always lead, no matter how far, your all in to come get you, and finally, the so-called friend. These friends, come into your life for whatever reason, and you care for them on a level, but if after a while, they do or say something that rubs you the wrong way, they are moved to limited profile material on FB. Still in the circle, but on the outside of it. Nathalie uses an interesting number scheme on the friendship scale. Everyone starts at a 10, and as time goes on or things happen you lose numbers. Some we have met go from 10 to 0 with just one, racist or derogatory comment. Once you loose a number, you never gain it back. Trust me on this, after 26 years together I’m a 7 and holding. Now, the secret of life and what makes things interesting is that fact that often people actually move between the friendship categories, and this is just fine. The point of my post on friends is simple. We learn and benefit from all the friends in our life no matter their category and we have to always remember this and even thank them for the role they play or once played. I think in the end, the so-called friends in your life are often just as important as the classic friend and the all-in friends. Writing this story third in the order seems to me a little like I am burying the lead. Perhaps this should have been first on the list of importance. But, anyone who knows me would already know this information and I am not really ready to talk in detail about it. One of the most significant events not covered off in the blog over these missing months, and without a doubt the lowest point of those months was the death of my Father in November. I will write more in the future and will share some very personal thoughts about his life and the impact it had on mine, but for now, I just want to say that we are having a celebration of his life coming up in April and if you want more info or to be included on this list, please get in touch with me. Last time I wrote, the girls where wrapping up grade 7 and 10 and did amazing. That was an accomplishment in it self and we sure where proud with all of their hard work. But in retrospect, their accomplishments back at the end of those grades; last June pale in comparison to the marks and advancements they are receiving this latest few months in grade 8 and 11. Years ago, Nathalie and I became these back-a-way parents, never pushing the girls to achieve. Never asking more than their best effort, and as a result, we have strong, smart funny and well balanced learners that work hard and do so for their own reasons. And this makes us just so proud. Keep up the great work girls! My magic number is still 2026. The year I will be able to retire with my full pension. I am so lucky and happy with my life and all that I have been able to accomplish and the way it has all worked out. If life is a big pinball machine, I have taken a few bounces around some smaller point obstacles, but I have been very lucky to have hit a few solid bumpers that have steered me in the right direction. The people in my life that have given me opportunity and the ones of have believed or given me the benefit of the doubt. Having been at the college as long as I have, many of those people that supported me and gave me chances at the start have since retired and I was proud to be part of their retirement celebrations. These are people I have talked about in the blogs of the past. However, this past week I spoke at a celebration of someone I have not talked about before, but without this one person, I am not sure I would be where I am today. The very first person I ever talked to at Seneca was Heather. She called me on the phone to tell me that my application was moved to the waitlist, and that if I came to pay a deposit, that it would be likely that I would be accepted in the program for September 1991. I came and paid my money to Heather and could see instantly that she was a great person. Helpful and friendly and she showed in a few short conversations that she genially cared about me and my success. I use to think it was just about me, then I watched her deal with others and I learned fast that she was the real deal. With that one phone call, that set in motion my education, me discovering my ability to teach and then every job subsequently after graduation and my eventual fulltime teaching position with the magic number of 2026, so from the bottom of my heart, thank you Heather. There have been lots and lots of funny little girl stories of the last bunch of months that are all worthy of closing out this first blog back post, but the one I have selected always makes me smile for several reasons. Now, the first thing to point out is I was not actually there. This story comes in Nathalie’s voice. And the second thing I need to say, is that there is a “bad parent” potential angle to this story and I don’t care what anyone things. Yes, our kids have twisted, sometimes-inappropriate sense of humor and I think it is awesome! I was out DJ’ing a wedding on a Saturday afternoon during the summer and the girls are hanging by themselves in the pool. Nathalie being a big fan of nature and not having a mean bone in her body doesn’t like it when the ants and other insects walk directly in the pool. She will always try to talk them out of it, sometimes with words, but mostly with a little splash of water or in some cases a whistle size blast of air from her mouth. This particular large ant was resistant to all forms of re-direction as it didn’t listen and it walked over the spray of water, and when Nathalie puckered her lips and sent some air their way it wouldn’t move. Nathalie says, “Wow it’s so big, I can’t blow it!” Without missing a beat, Julia says, “That’s what she said!” and starts to laugh. See we had talked together on a road trip just days before this, as a family the merits of this particular juvenile response to just about anything, and although she understood the concept and the content, she just never had an opportunity to use it like this, and she nailed it. Such a proud parents moment. Off to go get the, “my 12 year old is funny t-shirt! Thanks for reading and have a safe and great week.